Cortona, a quiet escape or an opportunity for personal growth and renewal. 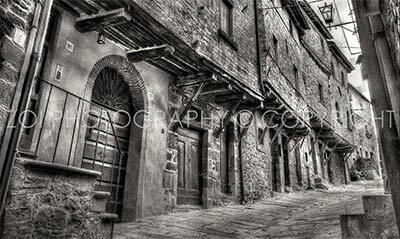 Cortona has a peculiarity Tuscan brand of charm. This well preserved unspoiled medieval hill town is know for its kind and convenient base for exploring the surrounding areas as well as for its colony of foreign residents. Cortona-Mia have listed information concerning; attractions, history, dining, accommodations, tours and activities. Let us help you to plan a dream vacation in Cortona, a quiet escape or an opportunity for personal growth and renewal.